The New York fashion week for spring summer 2019 has opened the doors of the big four on 6 September 2018 and will end on day 14 and as always we will show you in advance the looks that have impressed us the most. 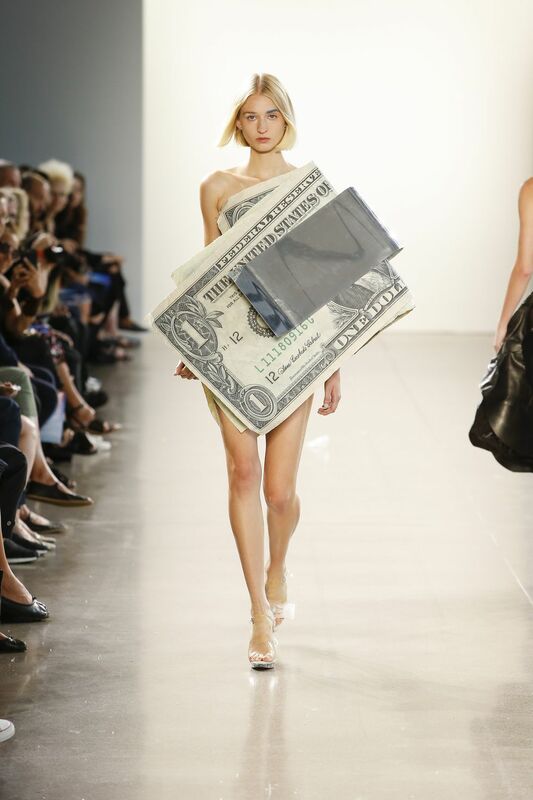 Among the outfits of the NYFW what surely amazes most of all is the one worn by Kota Okuda for Parsons MFA, which as you see in the picture looks like a big banknote that wraps the young model. But the surprises don’t end there, in fact at the New York fashion week there was also Marian Avila, a 21-year-old Spanish model with Down’s syndrome that Saturday walked the runway of the designer Talisha White, in short, you breathe a real air of innovation in this FW 2018. Do you like the outfits? share them with your friends via the social buttons you find below and leave a like to our Facebook page to stay up to date with the latest trends, news from the world of fashion and much more, see you soon!